Once more unto the Death Star, dear friends! 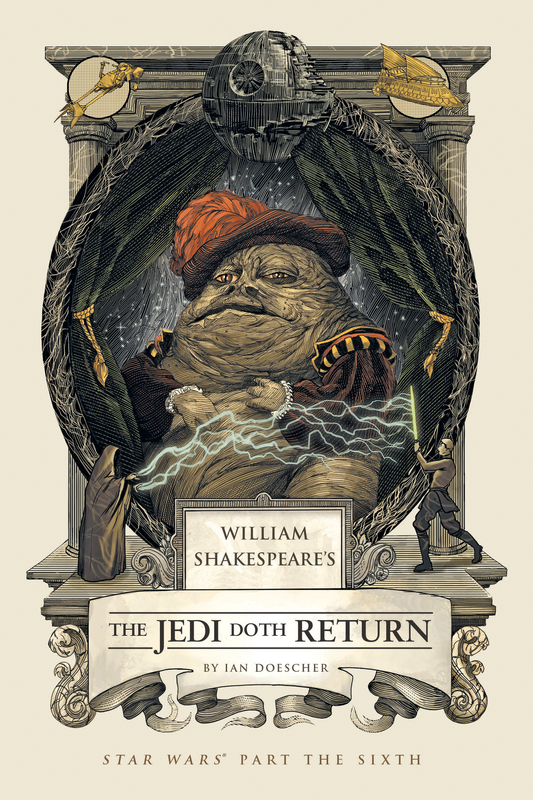 The epic trilogy that began with William Shakespeare’s Star Wars and continued with The Empire Striketh Back concludes herein with the all-new, all-iambic The Jedi Doth Return — perchance the greatest adventure of them all. 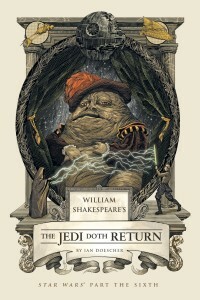 Friends, we have come to the final installment of William Shakespeare’s Star Wars, and when I saw it on the shelf as I was walking out of the bookstore I nearly gave myself whiplash. Naturally I bought it right away and began reading it the next day, and loved every moment of it. The Jedi Doth Return was, stylistically, more similar to Empire than to New Hope; it uses monologues, dialogue, and speeches to explain action sequences; the chorus comes up only a couple of times in the play. 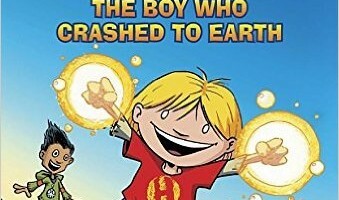 This was, overall, a very good choice; the characters could give their thoughts and views on a situation, which fleshed them out and made the sequences more fun to read. Once again, side characters were expanded upon and motives explored more in-depth, and characters who had little to no personality in the original were given clear characters – a prime example being Salacious Crumb, Jabba’s odd laughing pet, who gets several lines in the play. This expanding of dialogue meant that I occasionally got a very different impression of characters than I do when watching the movie, especially regarding the Han-Luke-Leia love triangle, which made reading the play a fresh experience in some ways and a slightly different experience than the movie. I was curious about how the Ewoks’ dialogue was going to be rendered in the play, and I was amused to find it was written as four-line, half-nonsense little poems; the first and fourth lines were gibberish while the middle lines were odd-sounding English that gave character to the Ewoks and let us understand them while preserving their distinct way of speaking. Doescher had previously used similar tricks to great success in Empire (Yoda speaks in haiku, Fett in prose) but this is the first time he’s done it with an alien language to make that language understandable – Chewbacca’s and Jabba’s dialogue, as well as that of the Jawas and other aliens, is left untranslated. 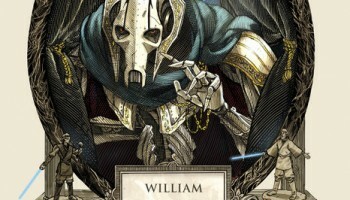 Reading the way they spoke and the conversations they had with C-3PO was quite fun. Unfortunately, Darth Vader doesn’t say “prithee” in this play like I hoped he would, but it was still a fun read and a nice ending to the trilogy. Nevertheless, we still get great and innumerable shout-outs to the original Shakespeare, like one monologue that references “All the world’s a stage”. By the way, if any of you are planning to put on a production of these plays, now would be the perfect time, because you could perform them all back to back and either invite me to watch or send me a video of it (I’m still waiting). 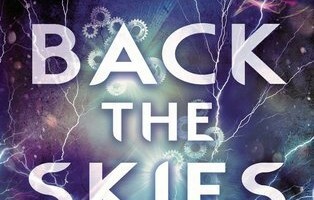 In conclusion, I’ll just say that this series has been great from beginning to end, and that if you haven’t read The Jedi Doth Return yet, you should immediately.